BLACKCRAFT will be invading Grit N Glory and setting up shop from Thursday to Sunday. Bringing with them all new exclusive designs dropping that weekend! 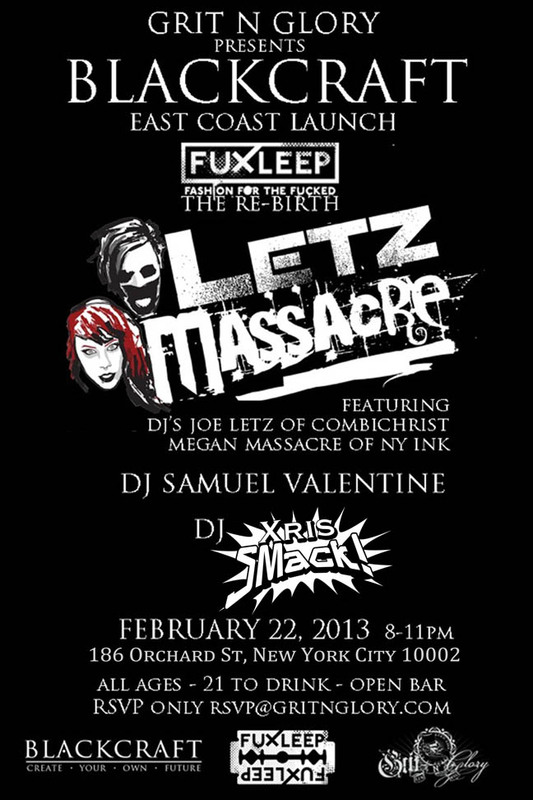 :Acey Slade, Blackcraft, Combichrist, Fuxleep, Grit N Glory, Joe Letz, Megan Massacre, Samuel Valentine, StarKiller, Xris SMack!